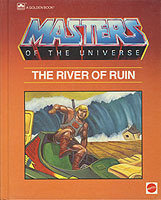 Although a short-lived animated series that only lasted two seasons, He-Man and the Masters of the Universe (1983-1985) complimented a tidal wave of merchandising, from the popular action figures and related toys to a series of children's books. 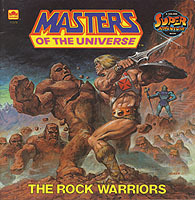 This science and sorcery series featured He-Man, a prince who moonlights as a musclebound superhero with the omnipotent Sword of Greyskull at his command. 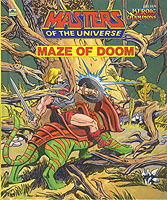 Accompanied by the wizard Orco, his faithful feline steed Battle Cat, and a host of other valiant do-gooders, He-Man spends much of his waking time foiling the nefarious plans of evil nemesis Skeletor and his hideous henchmen. 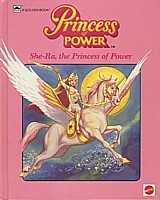 This series--a collaboration produced by Filmation Associates and Mattel Inc.--was also responsible for a more girl-friendly spin-off, She-Ra, Princess of Power (1985-1987), which simply replaced the testosterone-fueled hero with his more buxom twin whilst adhering to the same formula. The original series also inspired a live-action film in 1987, which starred Dolph Lundgren, Frank Langella, Meg Foster, Billy Barty, and a young Courtney Cox. 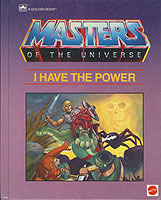 Due to its undying cult status, He-Man and the Masters of the Universe has been revived as a number of one-off animated specials since 1999, as well as being the inspiration for several new lines of toys in recent years. Hardcover. 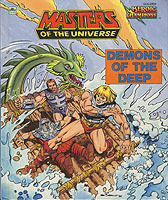 Illustrated by Fred Carrillo. 28 pages. Hardcover. 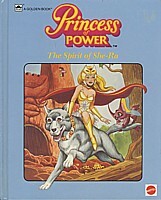 Illustrated by Harry J. Quinn and James Holloway. 44 pages. Hardcover. 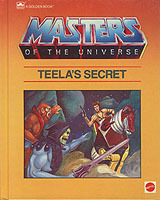 Illustrated by Al McWilliams. 28 pages. 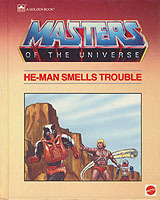 Cover art by Earl Norem. Softcover. 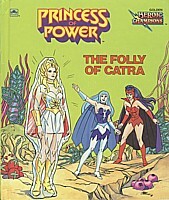 Illustrated by Fred Carrillo. 24 pages. Hardcover. 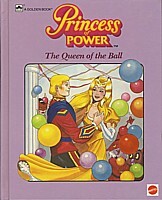 Illustrated by Harry J. Quinn and James Holloway. Hardcover. 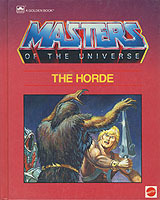 Illustrated by Glenn Steward.